The wardrobe video is fascinating. I had no idea that so much of Alexandra's wardrobe still exists. I'm just amazed that so much of it was kept and preserved throughout the Soviet era. Thank you for posting, Joanna. Joanna, wow! It has been a long time since we communicated, but I'm not surprised in the slightest that you have such an interesting blog because you always sent me the most wonderful treats by email! I would love to read your book in the future. It sounds enthralling. Thank you very much EmmyLee. Without comments or questions from others, I am not sure if there is interest in my continuing to post on the forum. I have had great ideas from comments on my blog and facebook such as the post this week on the camp bed. The study of Nicholas I on the lst floor is a whole chapter in my book – Ukhtomsky’s watercolor and the photograph c1917 of the study are deceptive which I reveal! It is great to reconnect! I have sent an IM with my new email. Dear Johanna, are there any photographs of the bathroom and toilet of Empress Alexandra (of Nicholas II) as it looked in the early 1900's or today? 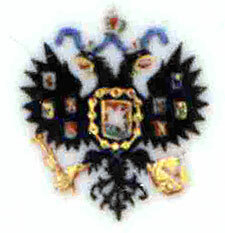 The painting shows what it looked like at the time of Alexandra Feodorovna (of Nicholas I). people always forget about the main APTM website. This thread is about the private rooms in the WINTER PALACE, thus my question to Johanna concerns the bathroom and toilet of Alexandra Feodorovna in the Winter Palace, not the dressing room in the Alexander Palace. Maybe it was not clear? I apologize. My apologies, the misunderstanding was mine. Stupidly I did not read the topic header. I'm very sorry. I do have photographs of Alexandra's bathroom today that show all the decorations c1896 - tiles, doors, mirrors, etc. Dear Joanna, would you kindly post the photos? Ditto Pers. I have been sitting on the edge of my seat, just waiting to see pics of Alexandra's bathroom at the Winter Palace. I only hope they're more complete than the tantalizing peek through the doorway of her bathroom at the Alexander Palace - where all we can see is a sofa.